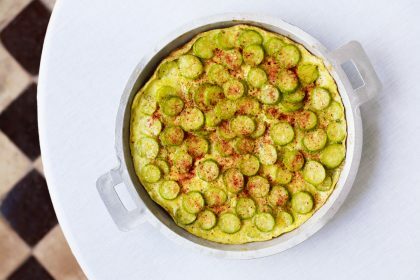 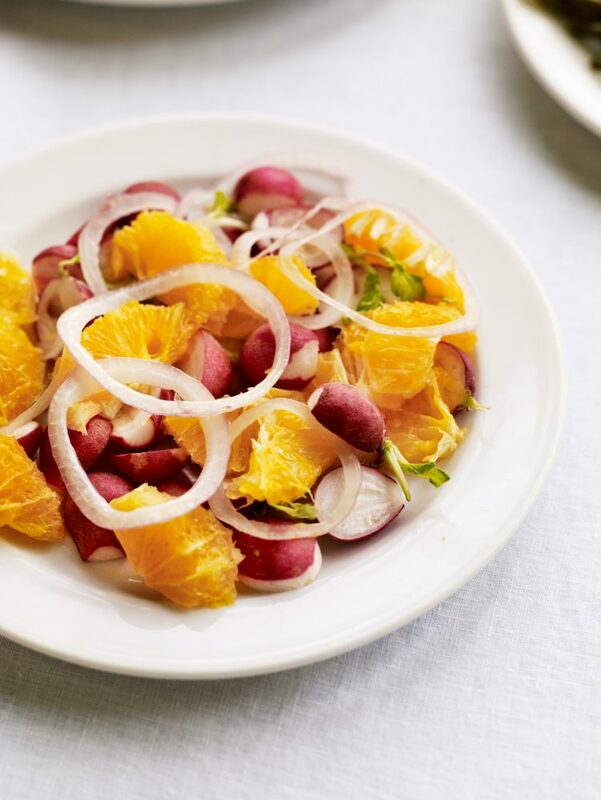 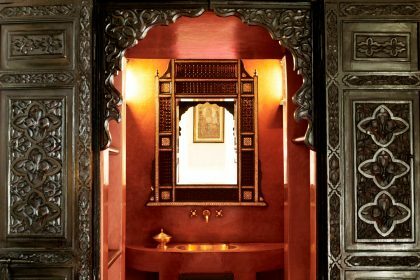 Morocco’s intoxicating mix of bustling cultures, exotic cities, fine food and never-ending sunshine offers a fabulous holiday destination for those looking for a holiday with diversity. 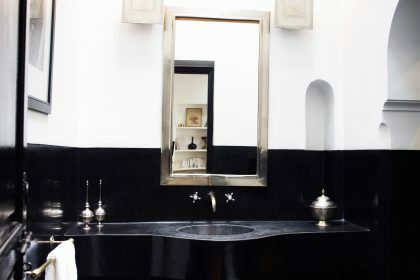 Marrakech is home to some of the most beautiful monuments in the whole of Morocco and L’Hôtel Marrakech is located in the heart of the Medina, conveniently close to; Jemaa El Fna square where you can sit and watch the snake charmers in the evening, the bustling Souk, 12th Century Koutoubia Mosque, palaces, gardens and the modern district of the Gueliz – it is an unforgettable place. 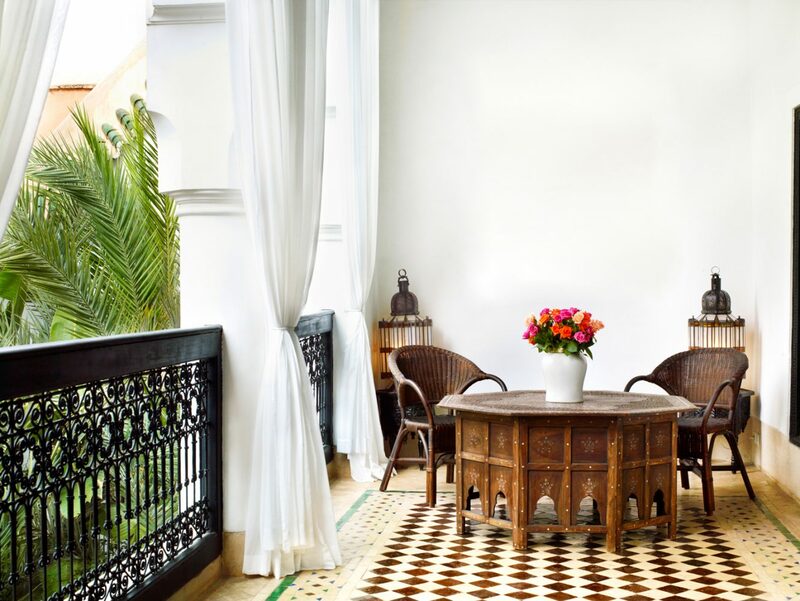 The rich and colourful Medina is teaming with all sorts of shops, winding streets & charming riads. 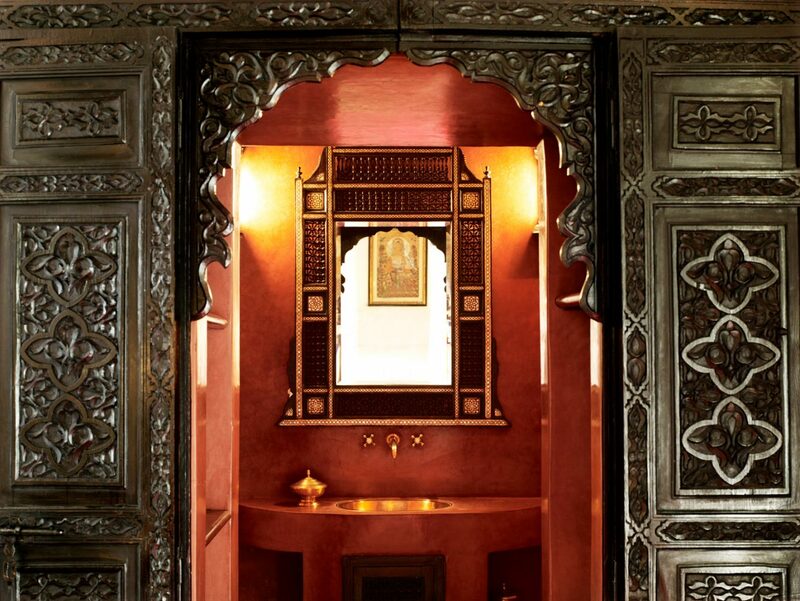 Sample the wares of stall holders, from almonds to make up, there is something for everyone here. 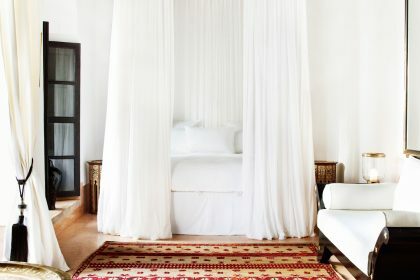 Go home with a stunning kaftan from one of the street markets or venture into the smarter shops for silks and leather. 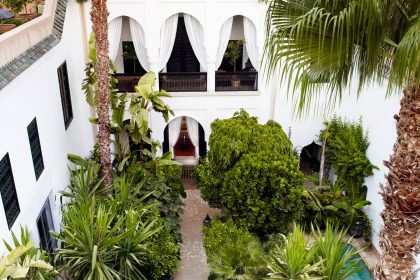 Gueliz is a new area of the city with a western influence and cafe culture, while retaining plenty of Old Marrakech charm. 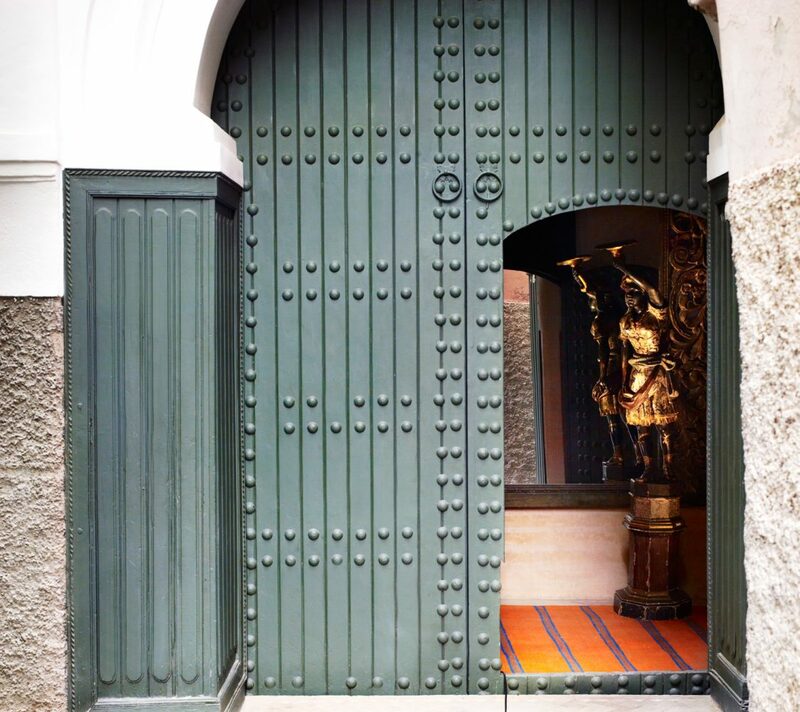 There are lots of boutique shops, often hidden on back streets, it is also home to the famous Atika shoe shop. 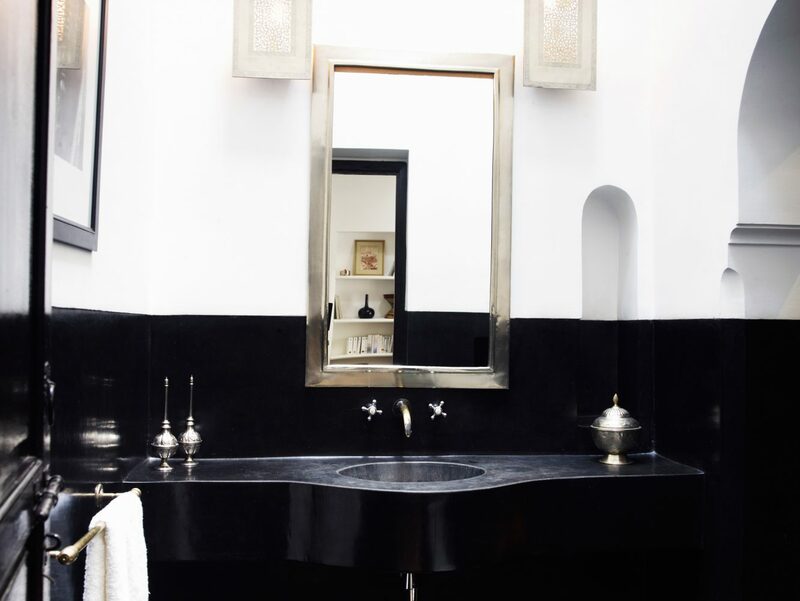 Prices can be beaten elsewhere but the quality is superb. 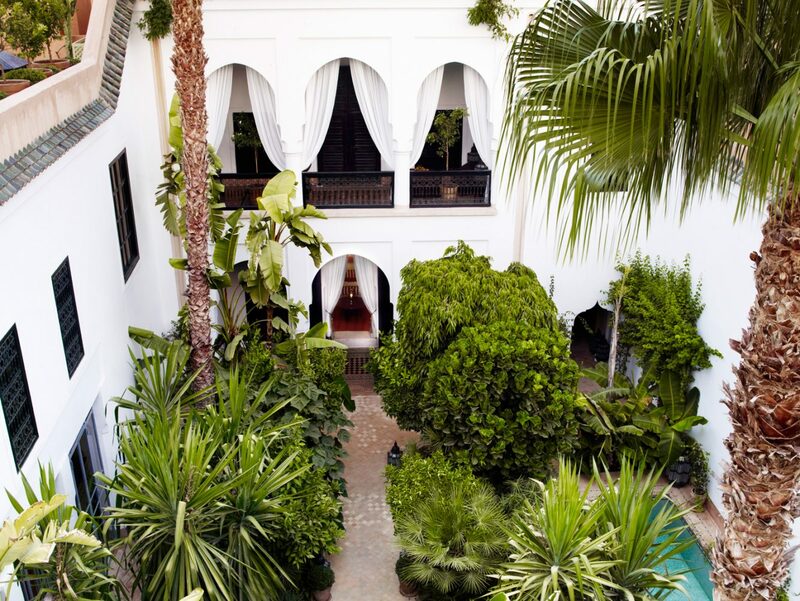 Keen to explore? 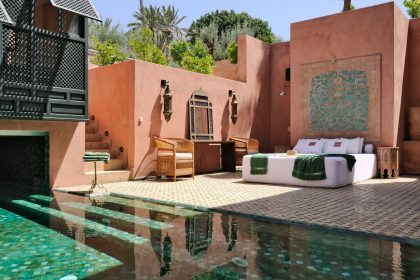 Head out of Marrakech to go trekking in the foothills of the Atlas Mountains (with or without a donkey) – there are trails that suit all levels of fitness and ability. 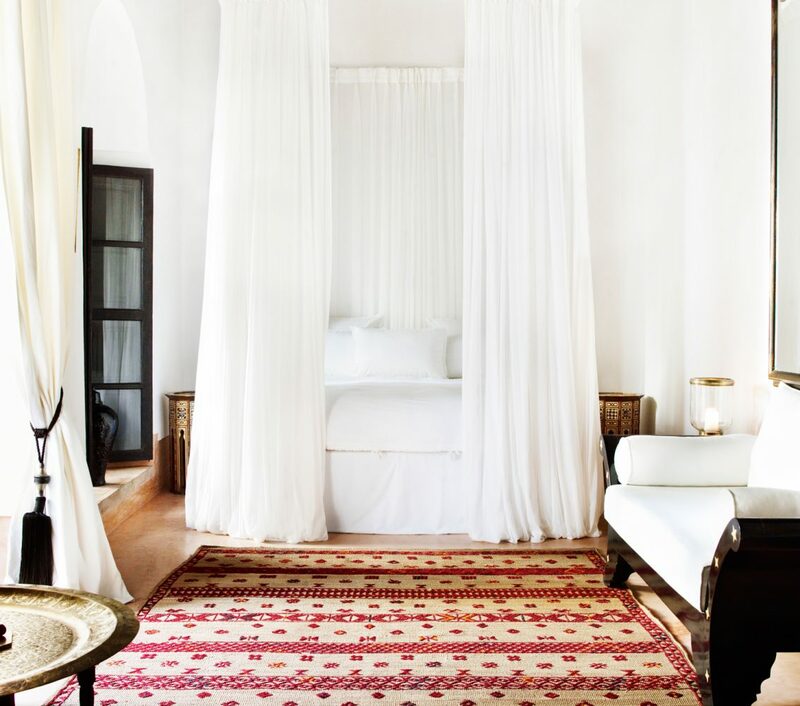 Visiting typical Berber houses is a real highlight particularly in the beautiful village of Setti Fatma – famous for its 7 waterfalls. 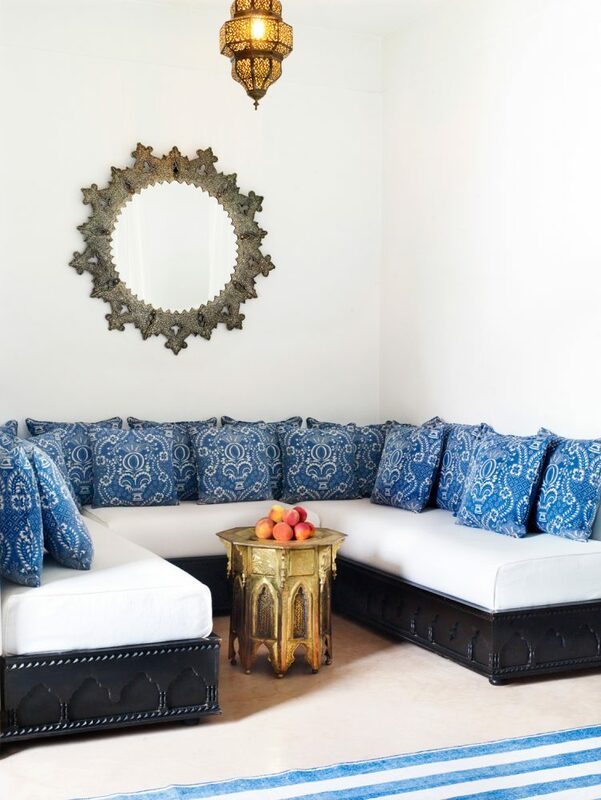 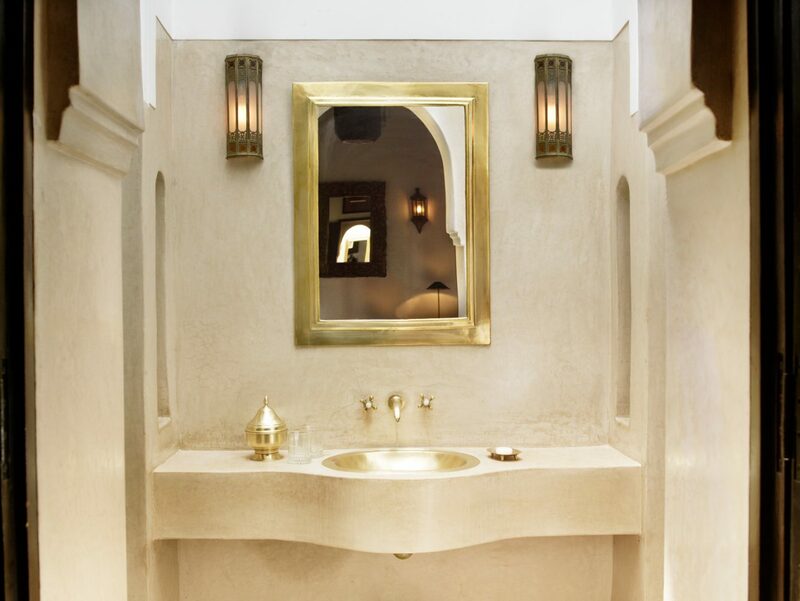 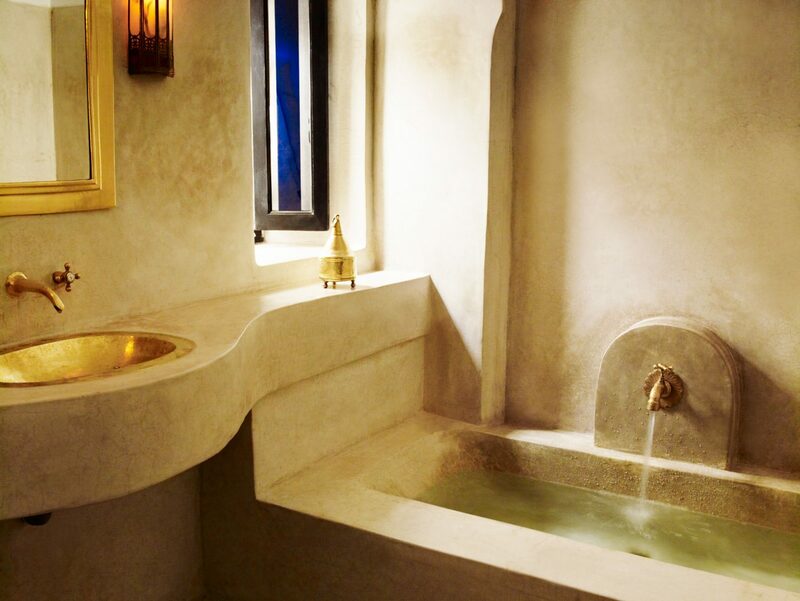 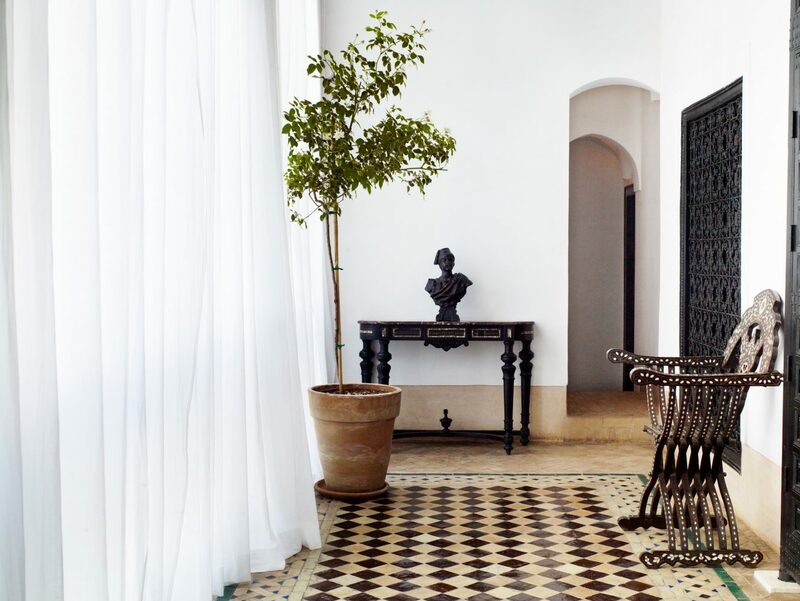 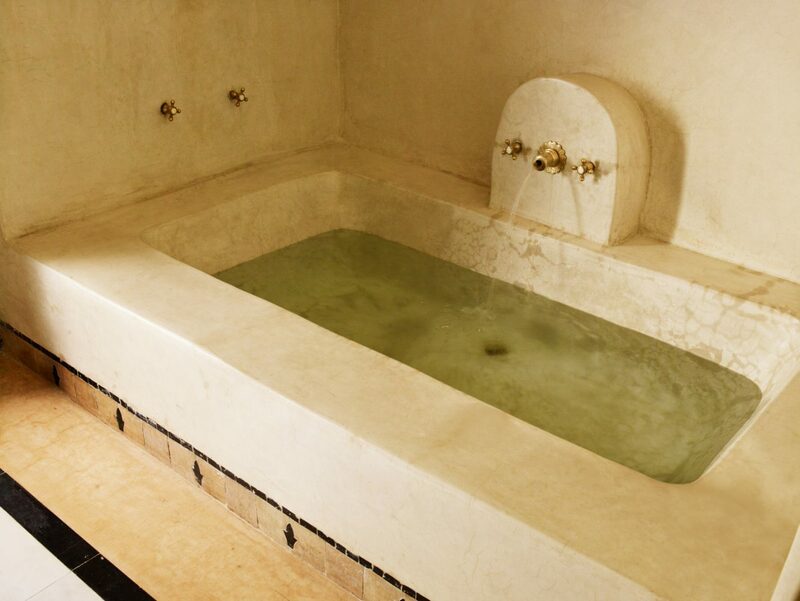 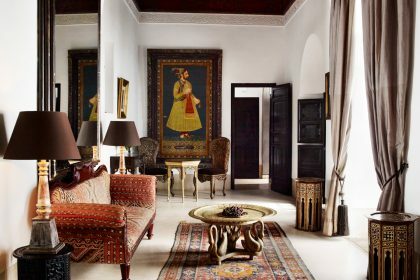 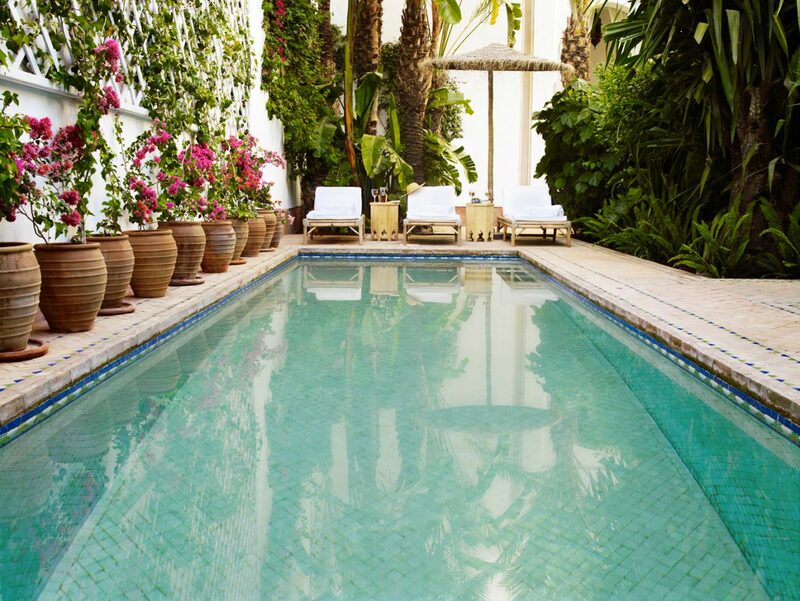 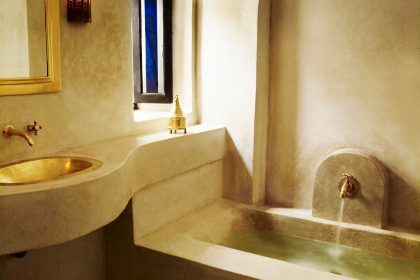 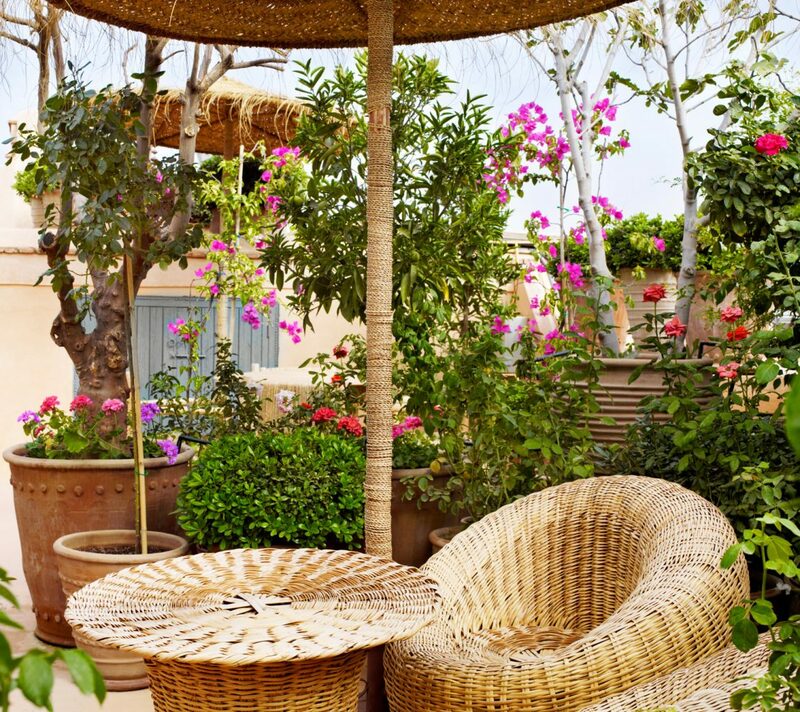 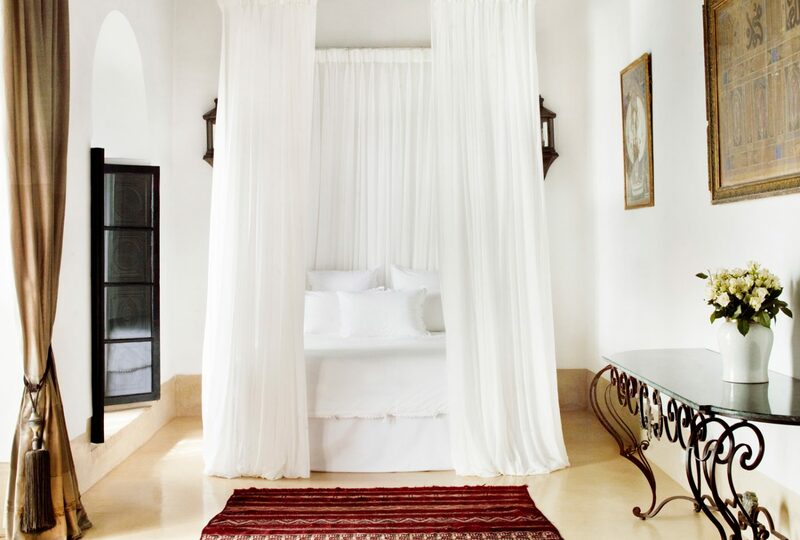 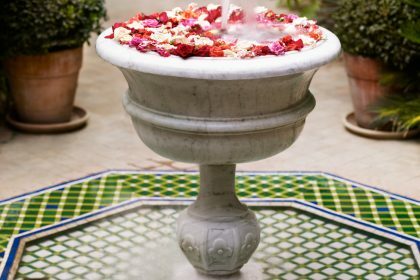 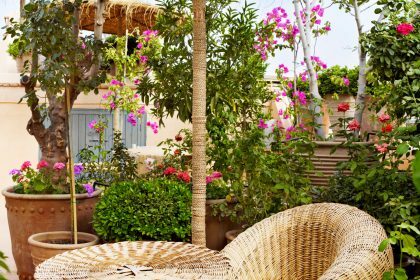 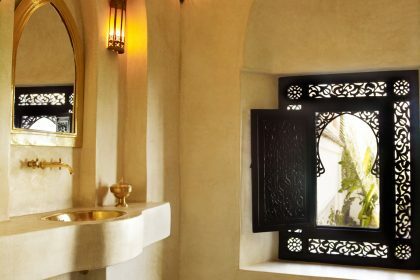 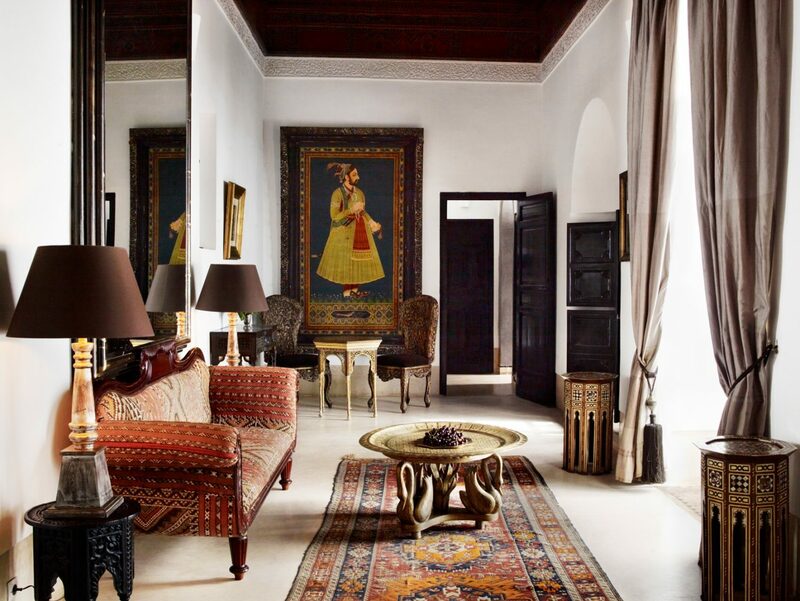 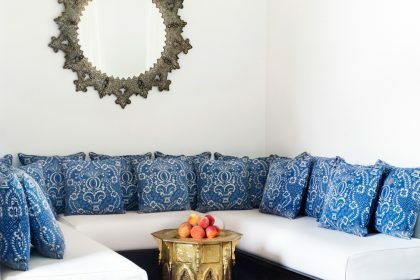 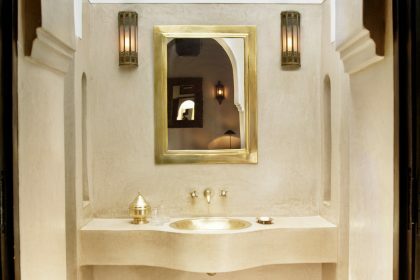 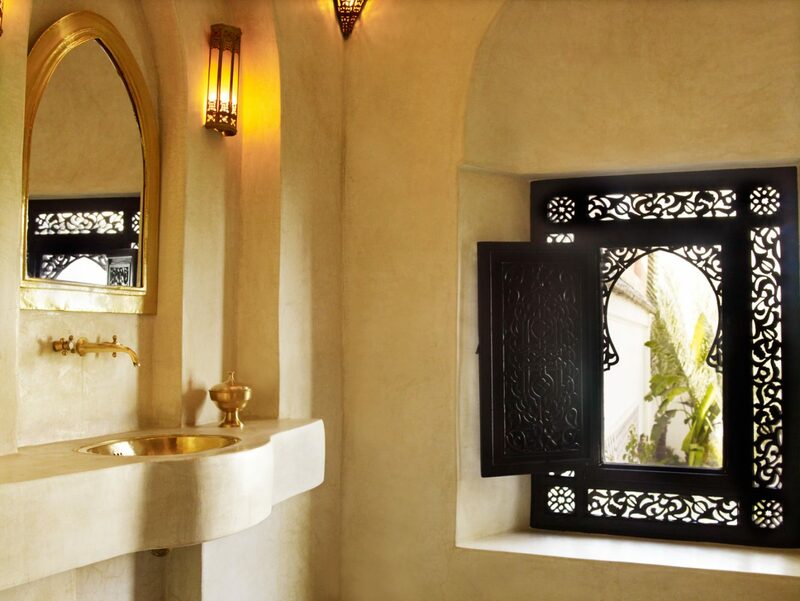 This small, intimate riad has the touch of a fabulous designer. 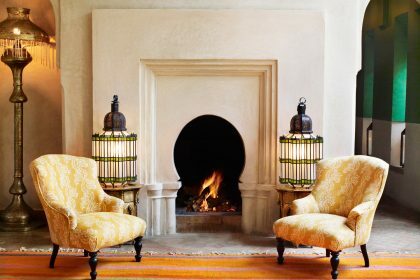 Jasper Conran, the owner, is a well known English designer with international fame, he has renovated and designed the whole place leaving no stone unturned. 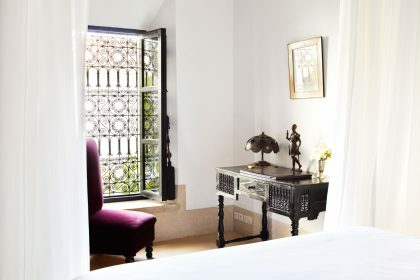 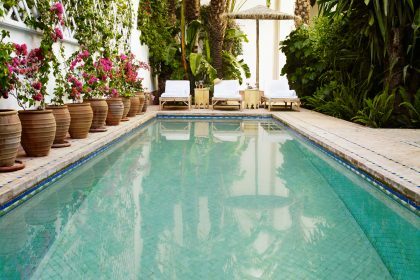 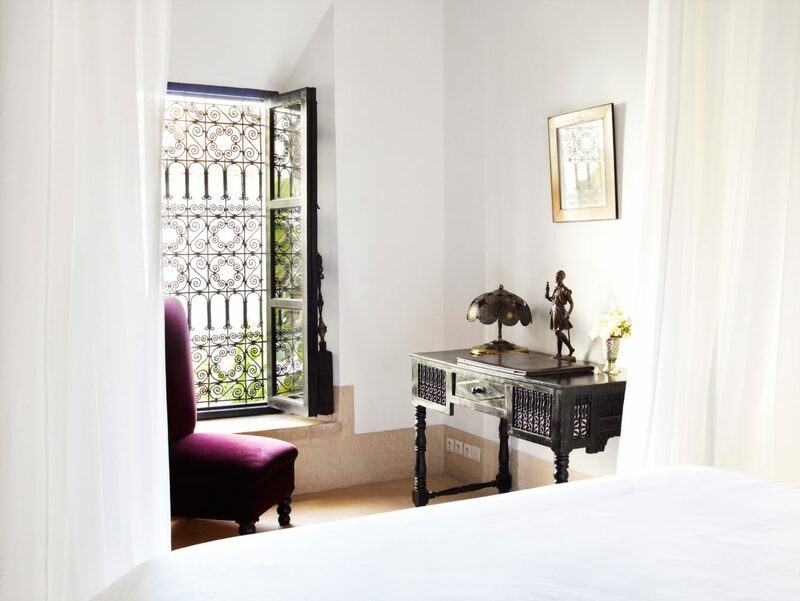 The building is a 19th Century Riad and has five large, beautiful bedroom suites which overlook a green courtyard and beautiful swimming pool. 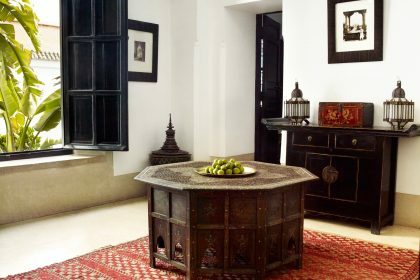 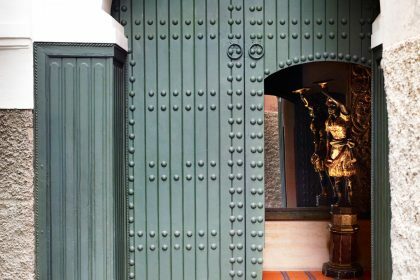 The hotel has been splendidly brought up to date using local, traditional craftsmen. 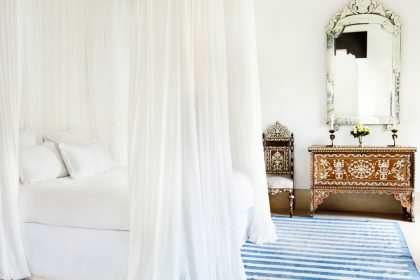 Bedrooms are full of carefully chosen antiques, textiles and art (some from Jasper’s private collection). 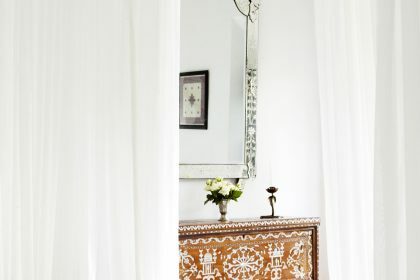 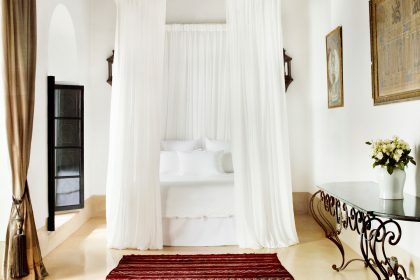 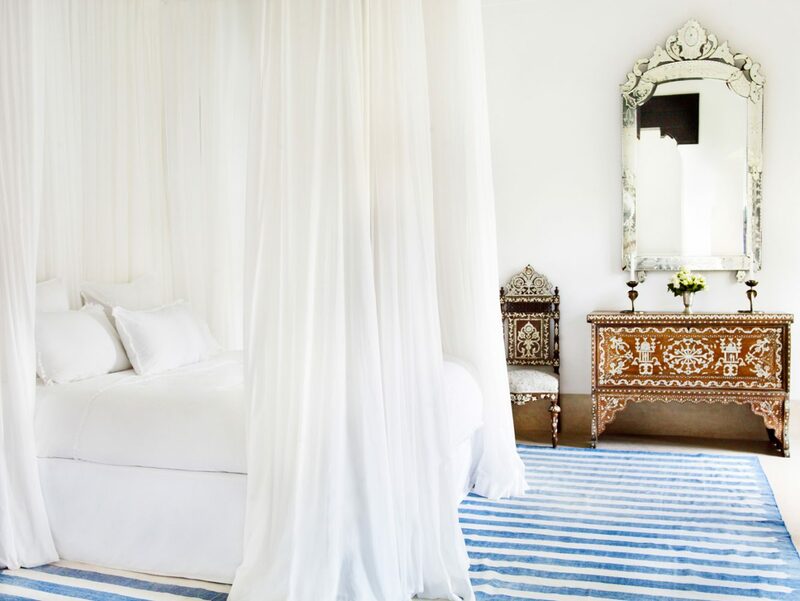 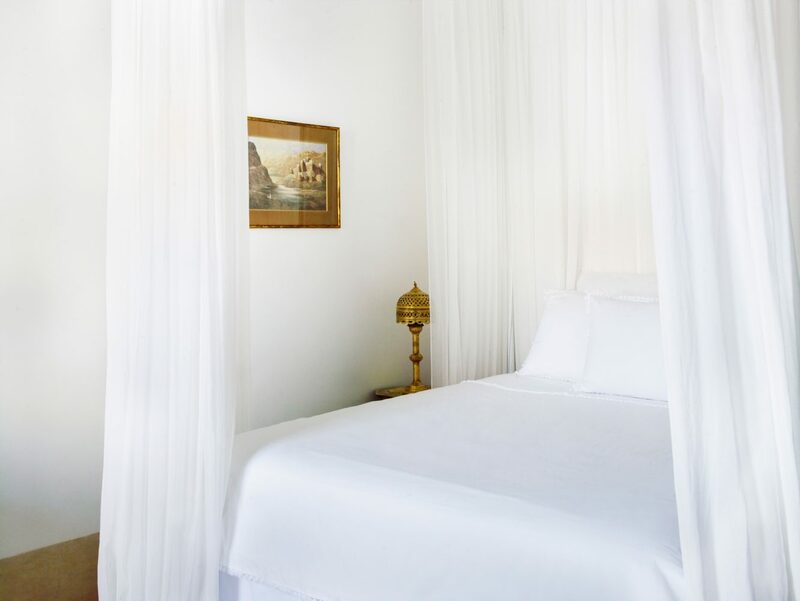 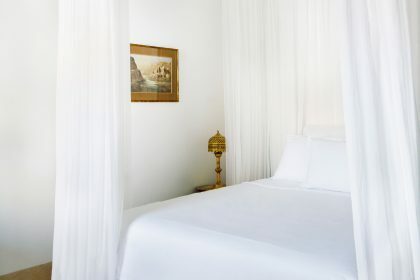 The beds are all four poster and king size – surrounded by white voile curtains, simple whitewashed walls and high ceilings. 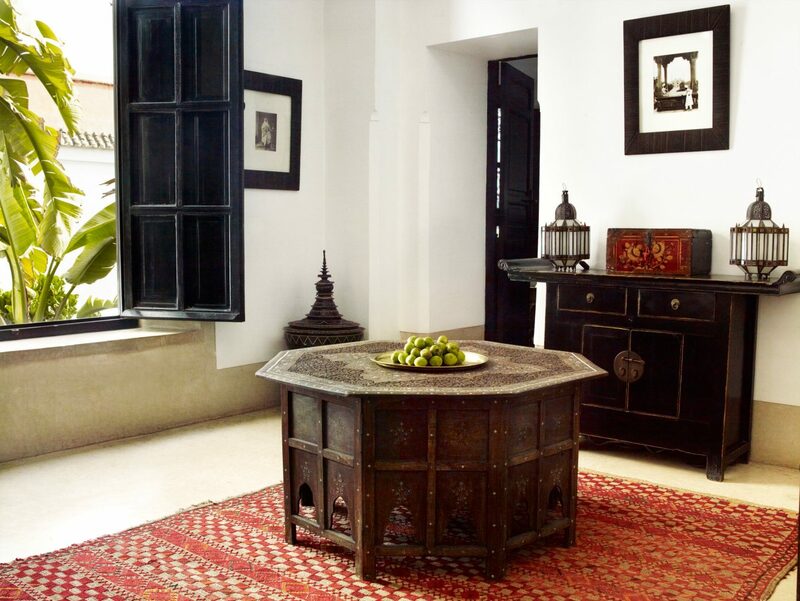 The sense of simplicity in the design gives an atmosphere of relaxed grandeur. 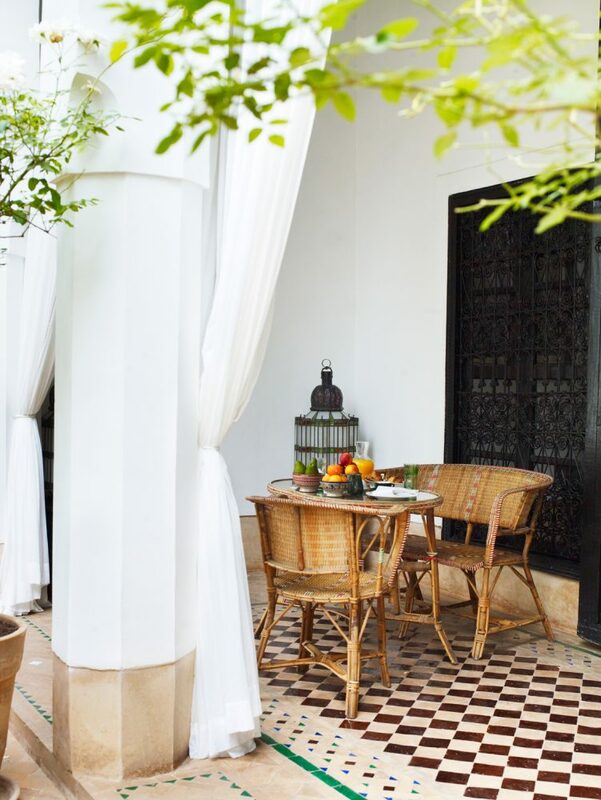 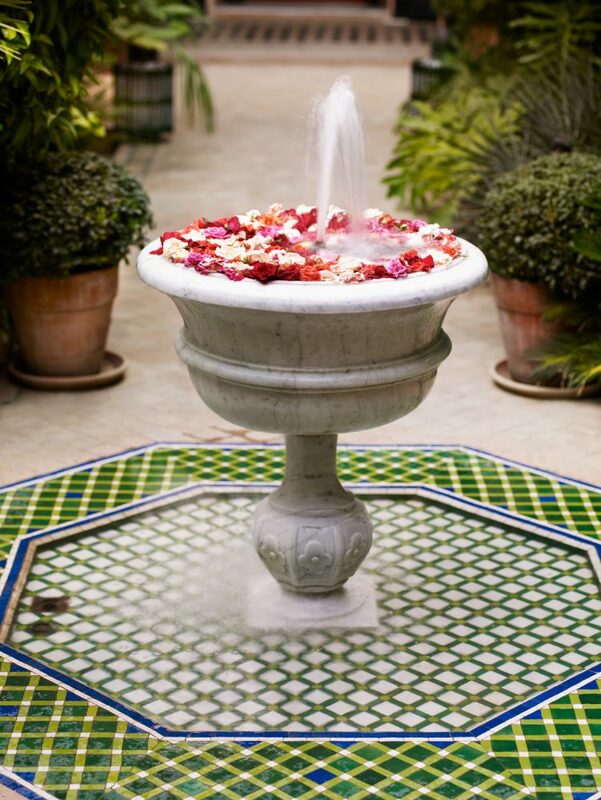 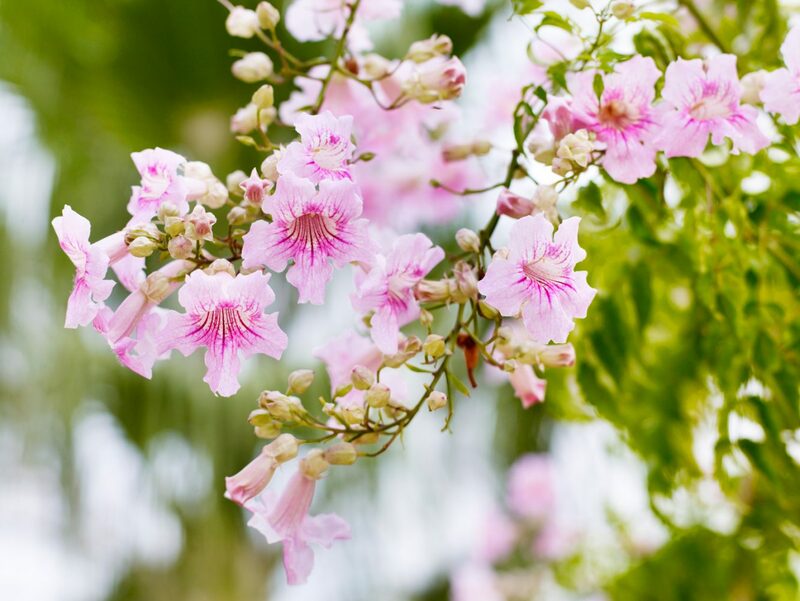 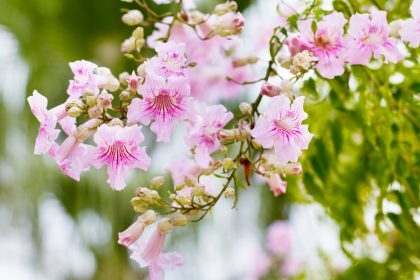 There are two roof terraces dripping with flowers – the delicious smells of jasmine and orange blossom fill the beautiful courtyard. 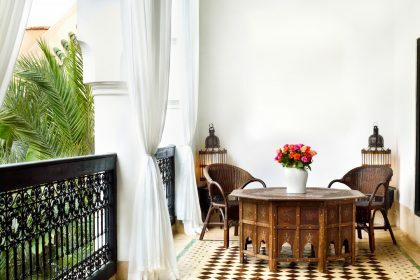 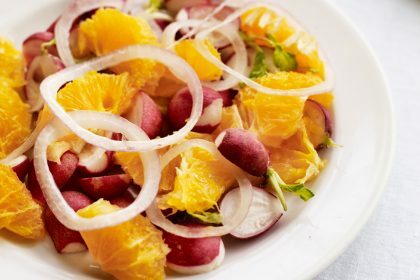 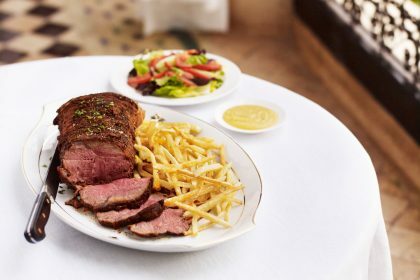 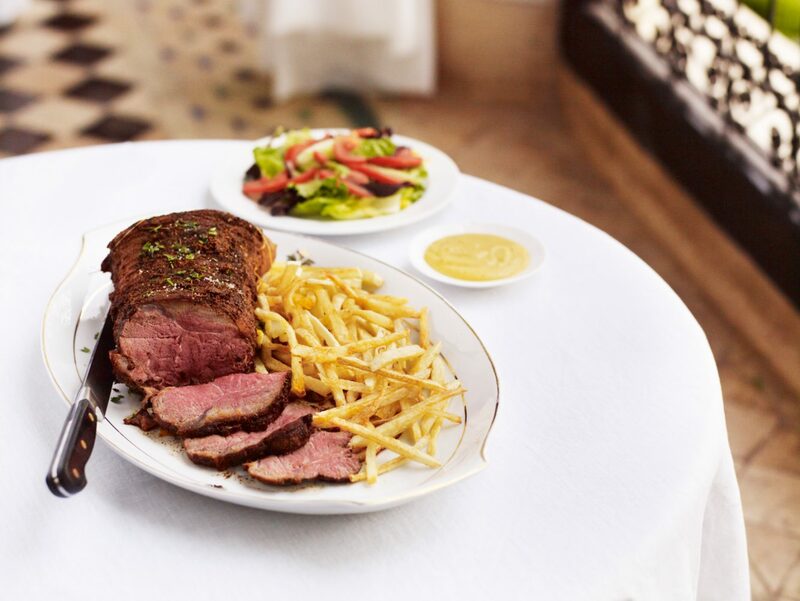 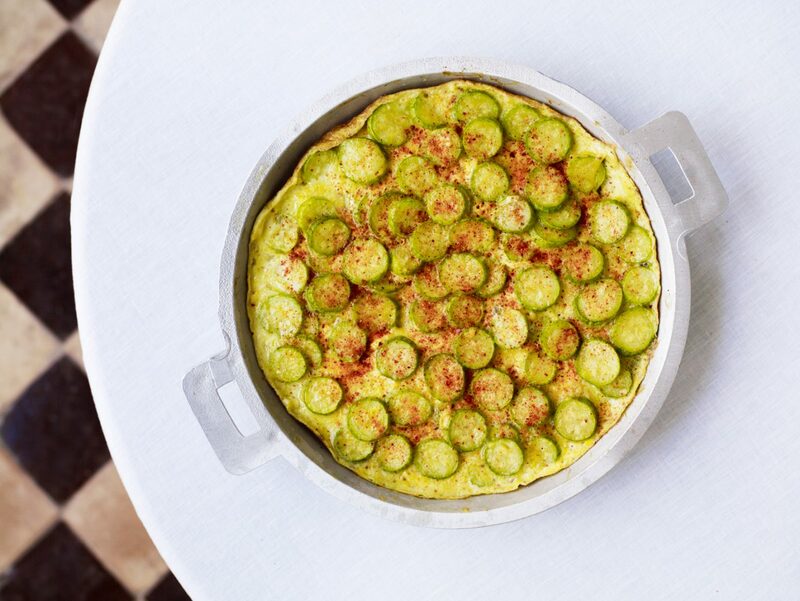 There is a small dining room in the hotel – perfect for dinner – and breakfast is included in the cost of the accommodation. 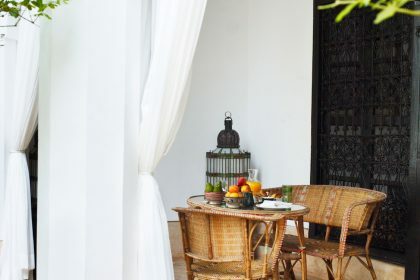 Ideal summer or winter (when there are cosy open fires), this oasis of calm in a busy city full of frenzied souk life is a place you will relish coming back to. 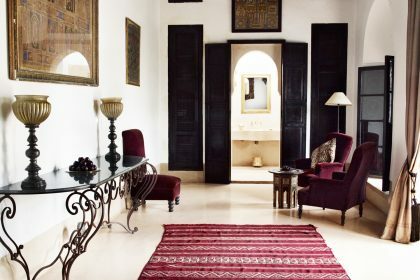 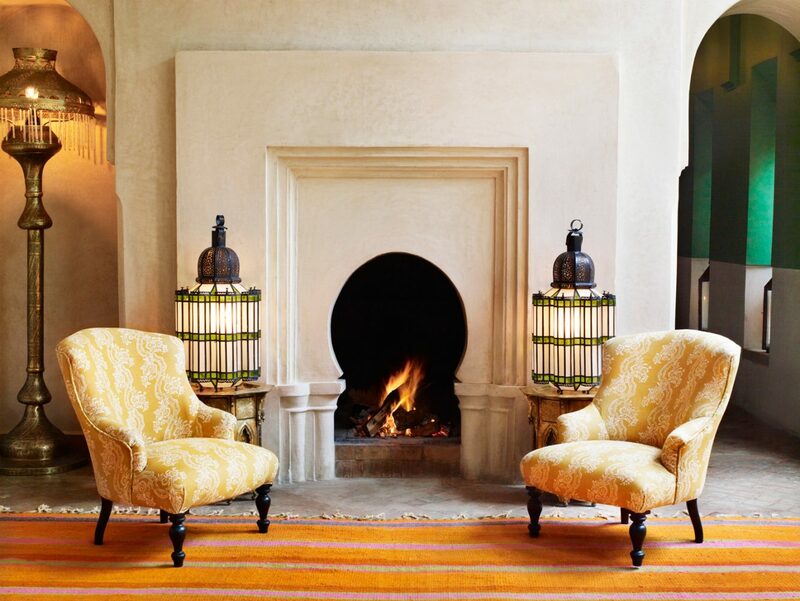 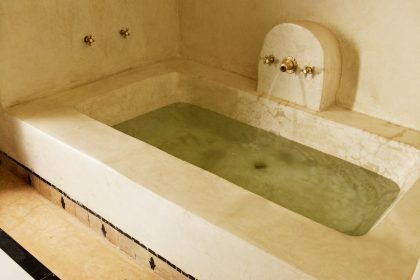 The hotel can help organise trips out of Marrakech for the more adventurous.